A dog can bring a lot of joy to your life. He showers you with unconditional love and makes you smile after a hard day. 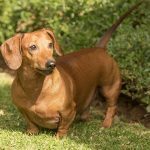 If you want to get the amazing experience of owning a dog, a dachshund is certainly a breed to consider.